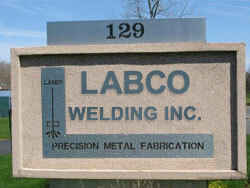 LABCO Welding, Inc. operates out of a modern industrial facility which incorporates 20,000 sq. feet of manufacturing area. The facility is well maintained, well lighted, and utilizes two overhead crane systems, a totally filtered air system, and several loading docks – both drive-in and truck height. With over 45 years of welding and fabricating experience, LABCO has the ability to quickly and efficiently carry your designs from concept to completed parts. LABCO produces a complete line of precision components, assemblies and metal fabrications. We are capable of complete design-to-product services for a wide range of parts serving a multitude of commercial, industrial, and aircraft applications. Prints can be delivered to us via hard copy, fax, or computer file – we can accept AutoCad DWG and DXF files and EPS (Encapsulated Postscript) files via email as well as the standard PDF formats. 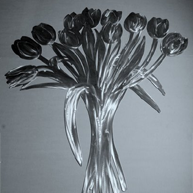 We will shear, saw, weld, laser cut, punch, notch, drill, machine and fabricate all materials to your specifications. LABCO can provide cost effective, efficient, and quick turnaround service on small lots as well as larger production runs. In most cases, quotes can be completed and returned to you via email in one day or less. Contact us today!